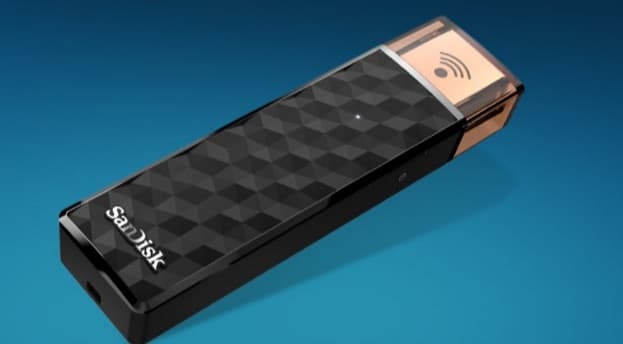 SanDisk, one of the global leaders among digital storage solution providers has announced a new 200 GB wireless flash drive in India, called 'Sandisk Connect Wireless Stick'. Priced at Rs. 9990, the stick allows users to wirelessly access all their digital content stored on it. All you'll need is Sandisk Connect app installed on your device to read, write and stream content to and from the disk. The Connect Stick solves several of the problems with the mobile storage media like USB drives and portable HDDs. First, you do not have to carry around all the wires along with your storage media and second, stop worrying about compatibility with standard, mini or micro USB ports. The stick creates a secure, password-protected local Wi-Fi connection (802.11n, 2.4 GHz) that you connect to and then stream all the media on your disk to your phone. SanDisk promises that you can connect up to 3 devices simultaneously to stream content stored on the stick. If the 200 GB stick is out of your budget range, you may opt for smaller storage capacities - 16, 32, 64 and 128 GB as well. The 16 GB stick is available only for Rs. 1740 on Amazon and is compatible with Android 4.2+, Windows 7+ and OSX 10.6+. If you prefer not creating wireless connection, you can simply plug the stick on to your computer in the standard USB 2.0 port to access all its content. The accompanying Android / iOS apps have been updated to support streaming of content to larger displays - via AirPlay for Apple TV as well as Google Chromecast and Amazon Fire TV. SanDisk promises a 2-year warranty in the APAC region and that might just make this stick a worthy buy. Not only for the features, but also for the problems it promises to solve. SanDisk was co-founded by Indian-American entrepreneur Sanjay Mehrotra back in 1988 and was acquired by global leader, Western Digital in October last year for $19 billion.